We now list a number of pest control products. 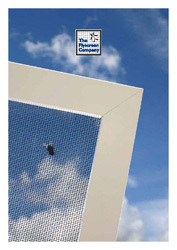 Listed products are electric fly killers and rodent mesh. Electric fly killers can be used in commercial or domestic premises, they are easy to mount and come with a years guarantee. Rodent mesh is a great way to deter rodents entering a property through the likes of eaves and soffits. We will despatch your order within a matter of days!